Home » Crafts, Sewing, & Home Decor » Sewing » Another new SPONSOR and GIVEAWAY!! Another new SPONSOR and GIVEAWAY!! Did you notice the winner of the Recessionista giveaway? Scroll down or click here. Do you like the styles and prices at TJ Maxx and Ross? You’re going to love Recessionista. Join Recessionista for a party in Idaho this Thursday…I’m going (okay after 8, when the kids are in bed). See you there! :) Click here for more info. Oh, the talent. Oh, the sweet talent of these sponsors. Love them all. And you’re going to love this newest one, I’m sure of it. ‘Tis the season to buy gifts for young and old. Melany from jellabee and jellabee jr is a stay at home mom who has such flair for sweet accessories, etc. She not only has a darling shop for your little ones, but another shop stocked full of women’s accessories that have such a dreamy vintage style. Love her creativity. Just love it. Let’s look at jellabee first. 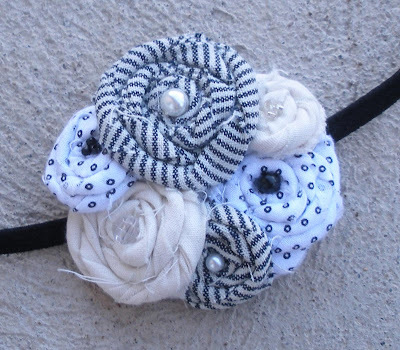 Now, Melany has an incredible selection of headbands like the Spiral Fabric Cluster headband found here. 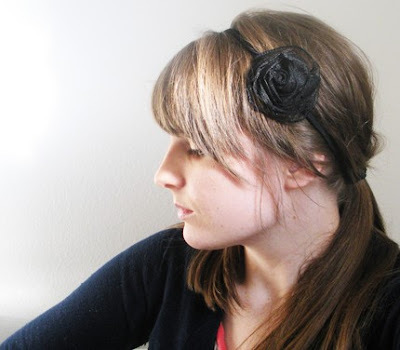 And come on…..can you just see yourself in this sheer black rose headband found here? Or how about this Pearl Ribbon Rose headband found here. Such perfect simplicity. And this lovely Rosette Trio found here. Ahhhh…. But I have to show you what jellabee jr is all about. First of all, Melany is so good with her hands. I quickly noticed that each of her felt clippies are stitched and created so evenly and with great precision. Such great craftsmanship. Just look at this Felt Nesting Bird clip found here. And the variety of colors available in her shop is fantastic. And look at this sweet Wise Owl clip found here. I’m lovin’ that. Awww, and your little miss will be ready for the holidays with any of these Happy Holidays clips found in her shop. But there’s not only clips and accessories, but there is a huge selection of chenille burp cloths like this Spotted Owl cloth found here. Oh my word……darling for boys and girls! Whew, the options are almost endless. 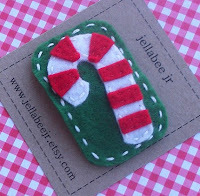 There really is so much to see and fall in love with at jellabee and jellabee jr. See what I mean? Go on over to www.jellabee.etsy.com and www.jellabeejr.etsy.com and look around for a while and choose your favorite item. Tell me your choice in your comment. Thanks again Melany! Your site if full of beautiful accessories and your talent is quite inspiring! You can find jellabee and jellabee jr, along with my other sponsors, on my sidebars. I love those headbands, so cute! 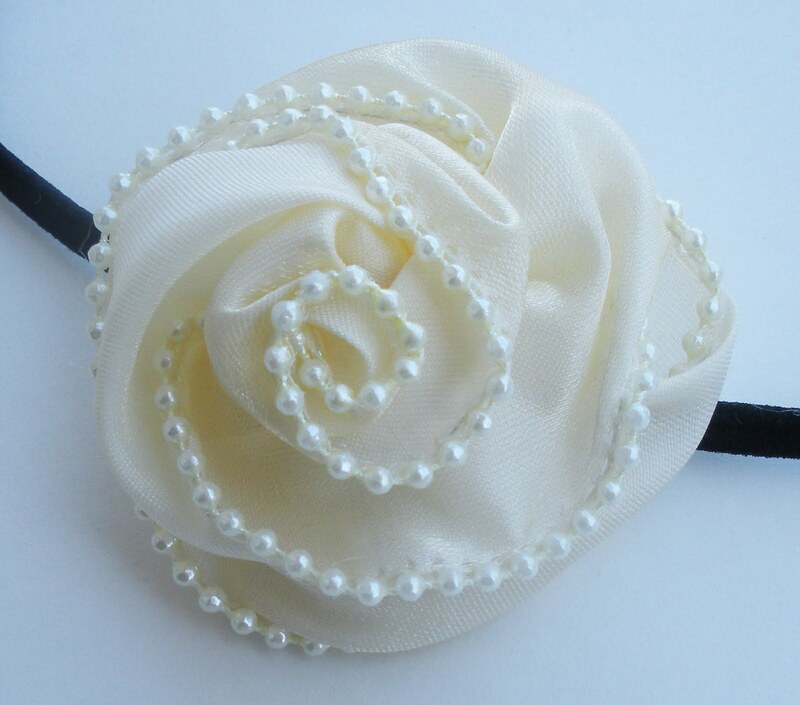 I love the Hydrangea Pearl headband. love those headbands – so classy! So cute! Love the hairclips! I just love all her holiday clips! What talent!! I love the spiral fabric cluster in plaid headband. So fun! My favorite was the Pari of Covered Button Snap Clips – Combo A. So cute! I really like these headbands. All ready follow your awesome blog! I already follow your blog!!! I the the stormy ocean- ruffle cluster headband. 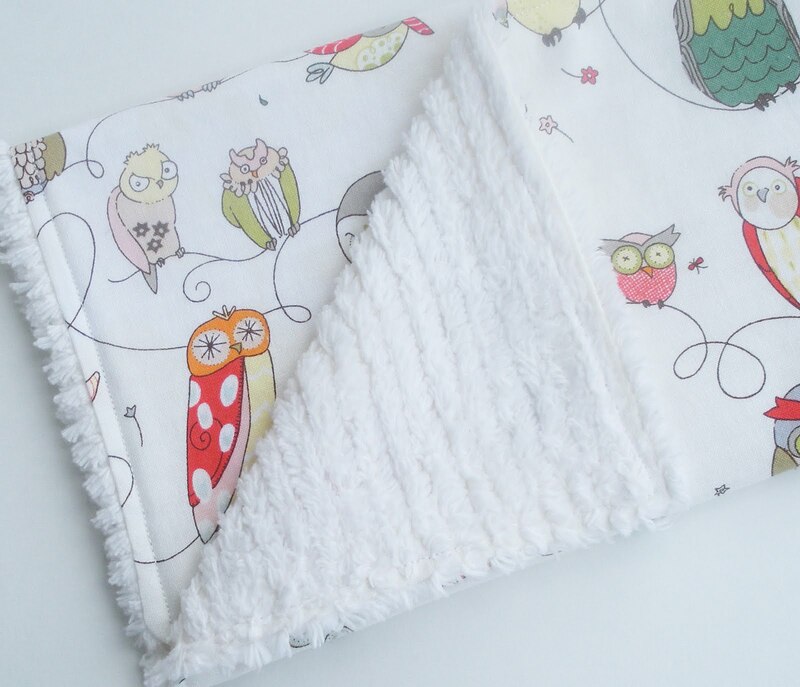 Chenille Burp Cloth's look so comfy for burping baby! Love it! I love love love those headbands and clippies!!! Adorable!!! My absolute favorite is the owl felt clip. We call our daughter "our little nightowl" so it is very fitting for her! I love those headbands and have been meaning to make one myself, but if I could win one. -Any of the vintage jewlry jars! -the green/black striped ruffle flower headband. wow what talent and care goes into her work! Laura Nielsen; such cute stuff! 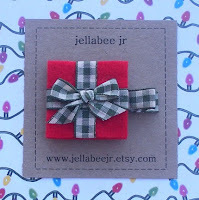 Um…picking one thing that I like over at jellabee is so hard!! 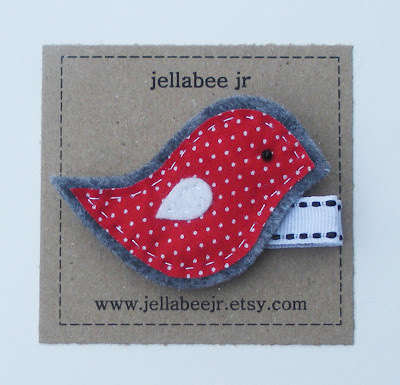 I really like the felt hair clips on jellabee jr and my daughter loves her hair to be fixed. I like the covered button hair clips the best. :)Too cute. 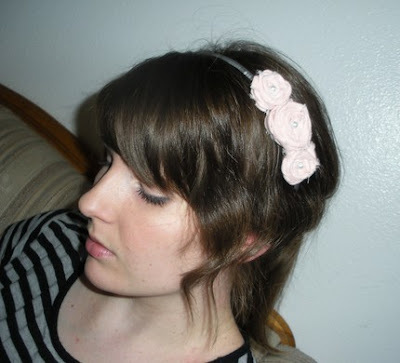 the penny headband is fun but my fav is the Headband / Rosette Trio / Light Pink. 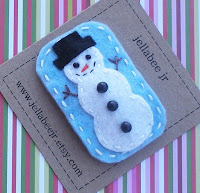 I have been to the jellabeejr site before on Etsy… and LOVED it! So excited about this giveaway! 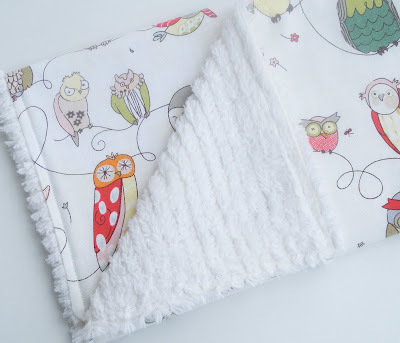 I LOVE the lovebirds chenille burp cloth! I also love the little puffy birds snap clips! Holy cow, how creative is she?! So cute! I think the little felt flowers are adorable! The poppy headbands are my favorites! I don't think I could pass up the little owl clips!